Situated on the western side of Oʻahu is the small town of Waiʻanae. Just 3.4 square miles, Waiʻanae’s lush lands sit between the shores of the Pacific and the Waiʻanae Range. The largest residential neighborhood in the area, Waiʻanae serves as the main town on Oʻahu's Leeward Coast. The area’s natural beauty, historic charm and small-town vibe are made all the more special due to the fact that it remains largely undiscovered by tourists. A little more than 30 miles from the hustle and bustle of Waikīkī and Downtown Honolulu, Waiʻanae residents live a true country lifestyle, living off the land as much as possible and sharing meals with neighbors and friends. On a daily basis, fishermen line the coast, hoping to catch a meal or two. During the early evenings, many cast their lines often stay until dawn. Weekends in Waiʻanae are spent camping and picnicking in large groups. Local families, many who live only a few blocks away, set up tents, tables and games at the beach parks. Birthday parties and other special occasions are often celebrated outdoors with lots of ʻono food and good friends. The true spirit of aloha is seen and felt through the neighborhood’s family-friendly atmosphere and community-centered programs. 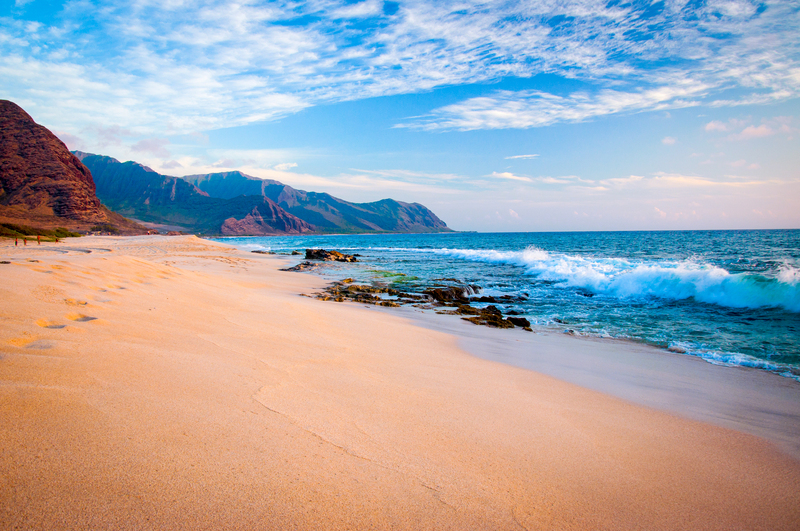 Waiʻanae is a great place to soak up the sun and the scenery. The Waiʻanae Boat Harbor is a popular spot for locals and visitors to catch a snorkel tour, dolphin cruise or whale watch. Its small working harbor also houses personal boats. Pokai Bay is one of the best beaches for swimming in the area due to its usually calm and inviting waters. It’s the perfect place to take the keiki and set up shop right there in the sand. Keawaʻula Beach—better known as Yokohama Bay—located at the northernmost tip on the west side, is one of the more remote and beautiful areas of the island. In the winter, this beach satisfies sun-worshippers and watermen alike, with its seemingly-endless sunshine and ideal waves for surfers and body boarders. A bit further down from Yokohama Bay, the road ends at Kaʻena Point, where in-the-know residents and visitors begin ascending a coastline hiking trail which features stunning views of the Pacific. Experienced hikers also enjoy hiking through the Waiʻanae Range—through Waiʻanae Kai Forest Reserve, up to Puʻu Kawiwi, to No Name Peak and down Tiki Ridge. For sun-seekers and outdoorsy types, Waiʻanae is the ideal area to live and explore. The true spirit of aloha is seen and felt through the neighborhood’s family-friendly atmosphere and community-centered programs.